What is being characterized by Federal law enforcement as the largest college admissions scandal in U.S. history began with the U.S. Justice Department charging 50 individuals with Federal crimes on March 12, 2019. The 200-page criminal complaint that accompanied those charges identified 58-year-old Californian Rick Singer as the ringleader of a vast conspiracy to admit academically and athletically unqualified children of wealthy parents to elite universities by taking advantage of the lower academic entrance requirements afforded collegiate athletes. Details of the enormous bribes provided to Singer and Center by the parent of the student who ultimately gained admission to the University of Texas were also included in the complaint, but unlike dozens of other parents caught conspiring with Singer in similar criminal complaints, the parent in the case involving Center was not named – let alone indicted. Those within the University investigating the incident believe it is isolated and does not involve any other employees. While that may indeed be the case, a testimonial and image that SportsbyBrooks.com has obtained from Singer’s now-deleted website may prove otherwise. 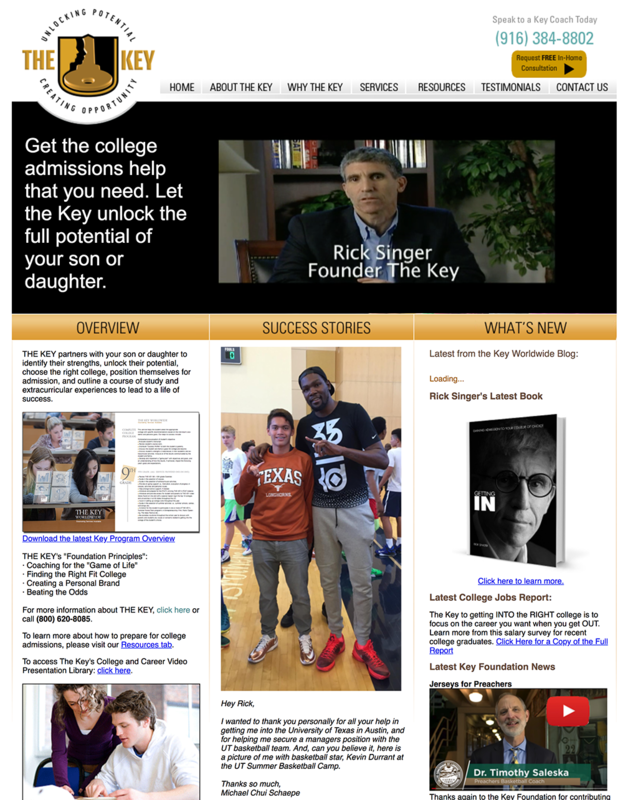 On the March 12, 2019, the day the U.S. Justice Department first announced the case against Singer and 49 other defendants, a testimonial from University of Texas student Michael Chiu-Schaepe could be seen on the the front page of a website owned and operated by Rick Singer. Documents reviewed by the complaint’s FBI agent show that the student’s University application listed him as a manager of his high school football and basketball teams. 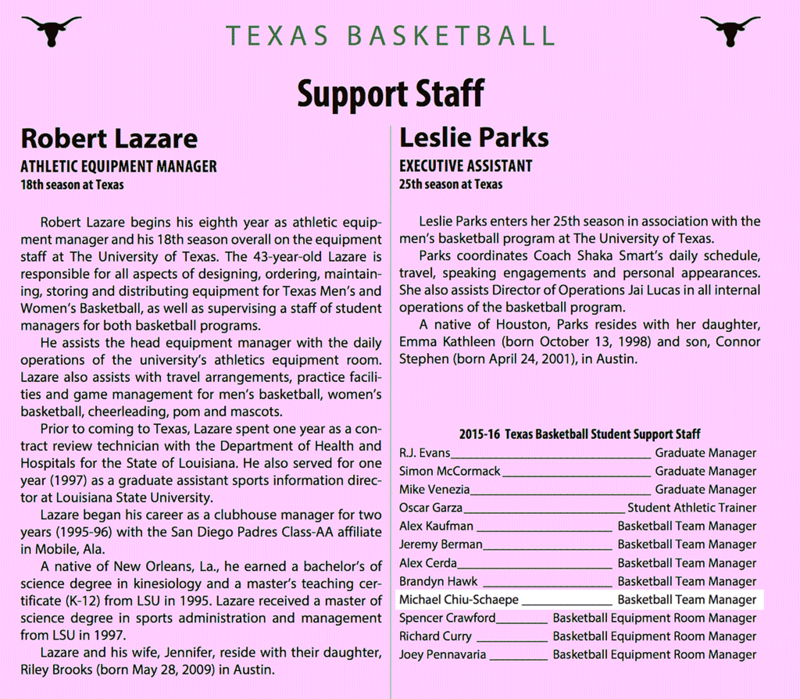 The University of Texas basketball media guide listed Chiu-Schaepe, whose father is mega-wealthy venture capitalist Christopher Schaepe, as having been a team manager for the 2015-16 season – which was current Texas head basketball coach Shaka Smart‘s first season with the Longhorns. In addition to Michael Chiu-Schaepe’s connection to the school, the record of a $100,000 donation to the University of Texas Moody College of Communications from Jennie Chiu and Christopher Schaepe can be found on the University’s official website.